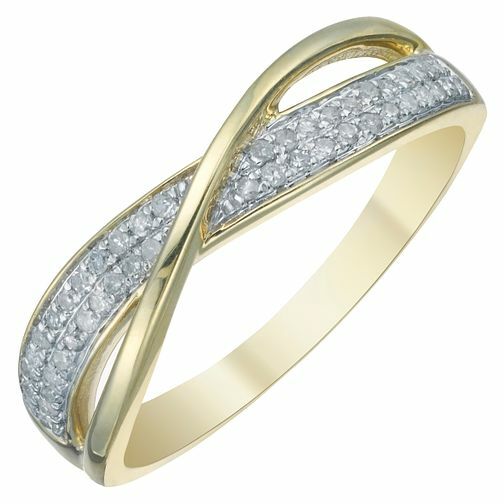 Make the ultimate sentiment of your everlasting love with this enchanting diamond eternity ring. Delicately detailed with round cut diamonds set into a luxurious 9 carat yellow gold twisting crossover band, this eternity ring makes for the perfect gesture of your love. This diamond eternity ring has a total diamond weight of 1/10 carat.